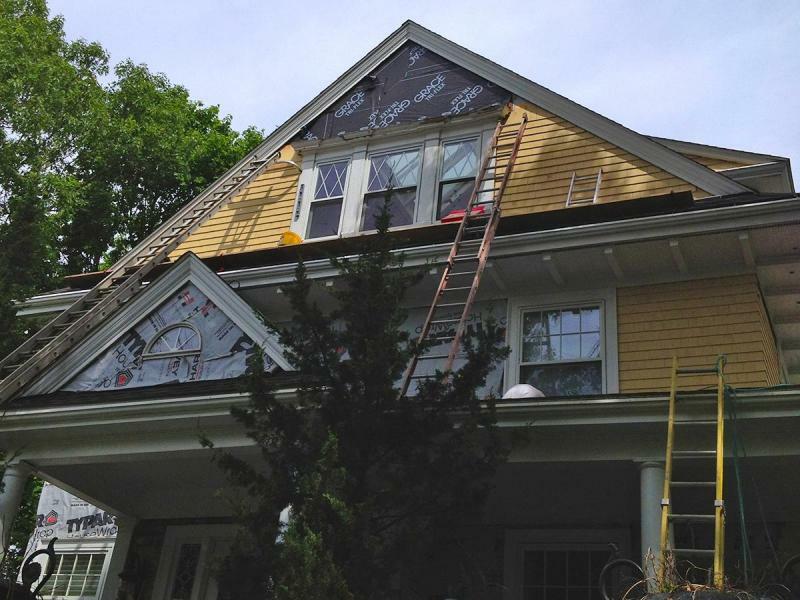 Two sides of a multi-stage siding replacement of this cedar-shingled home were done this time, with the first side being completed about four years ago. 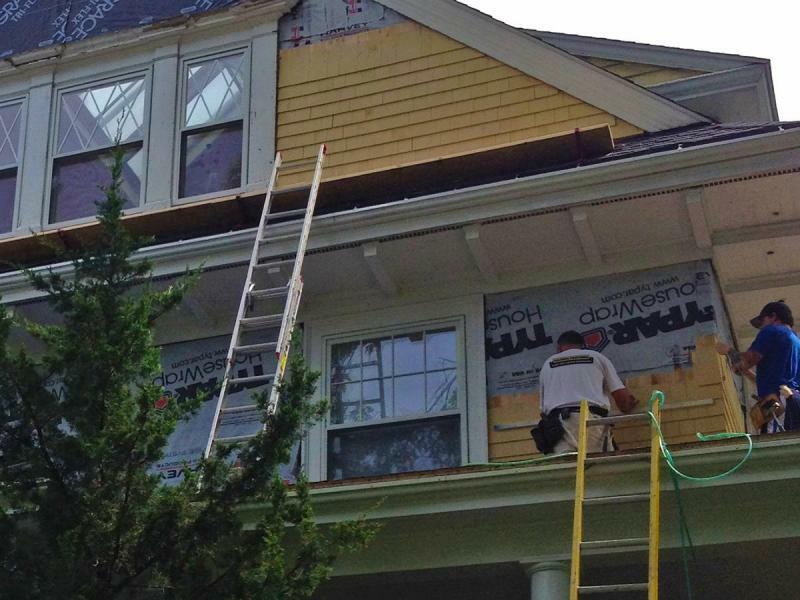 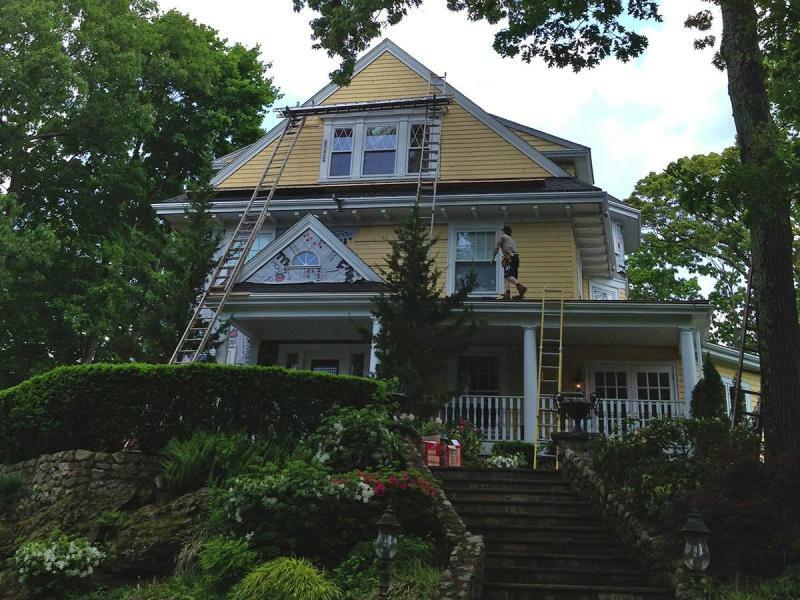 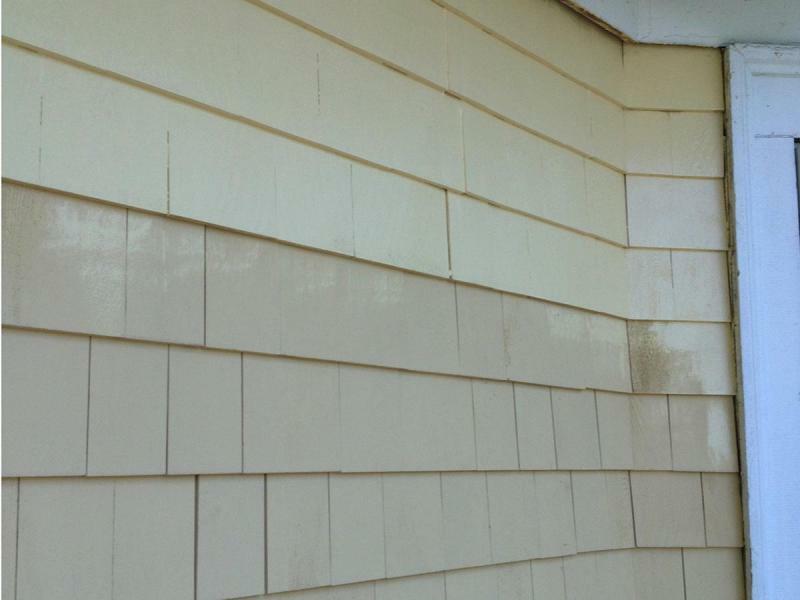 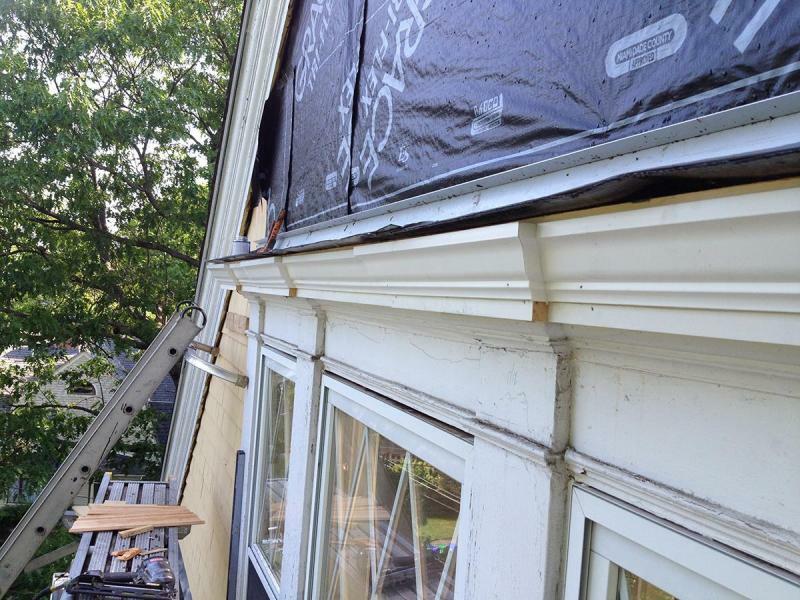 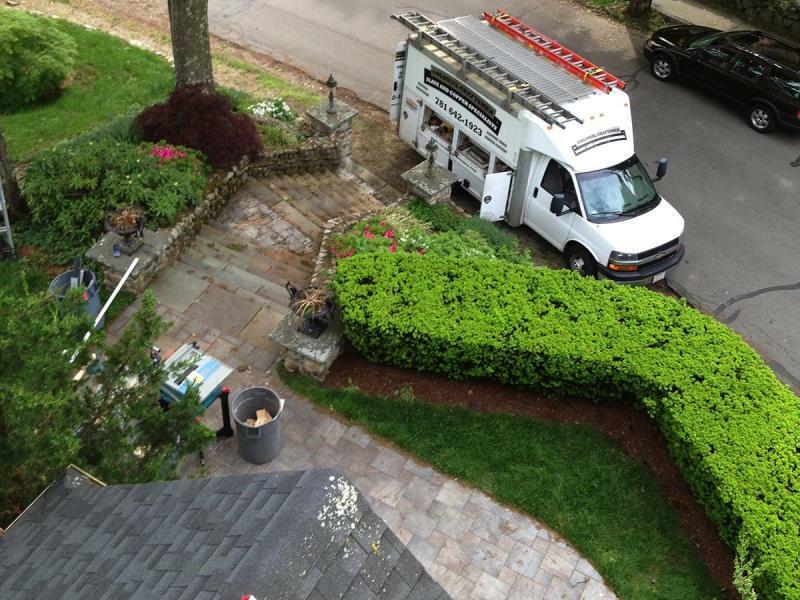 The old shingles were removed, and new white cedar shingles (pre-stained on all sides with matching color) were installed prior to receiving a finish coat of latex stain. 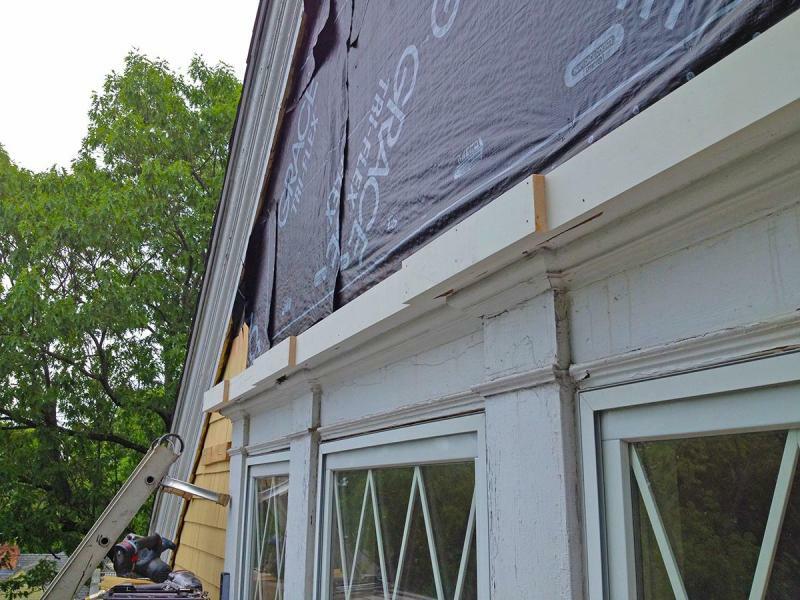 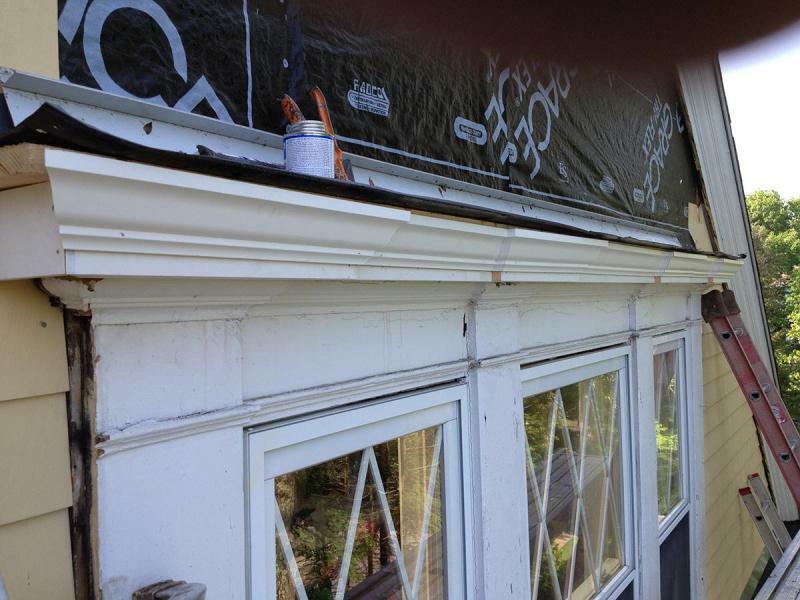 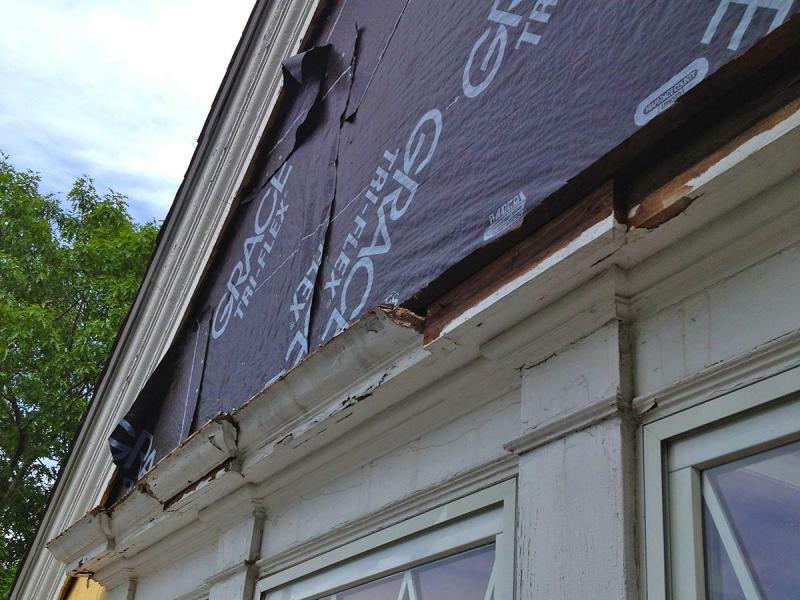 In addition to the siding, a rotting window header was removed and replaced with matching Azek composite moulding for a clean update that will last for many years without needing maintenance or paint. 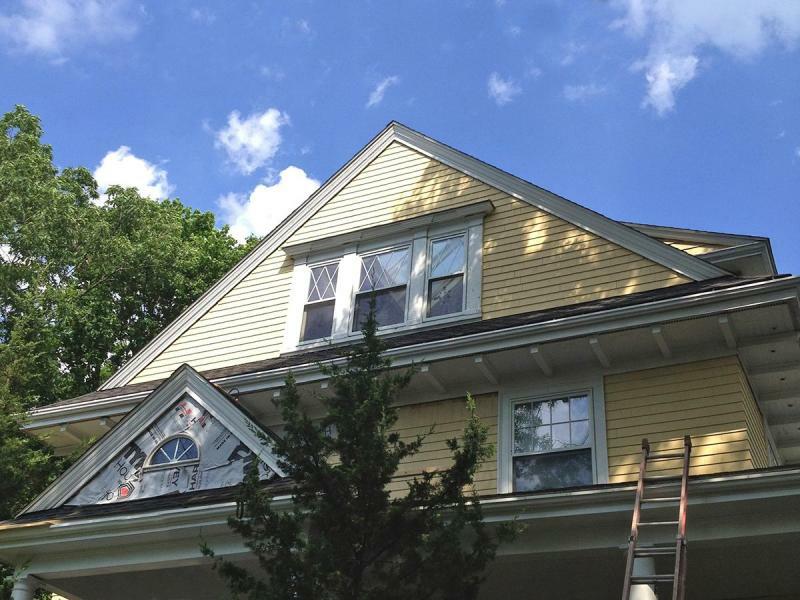 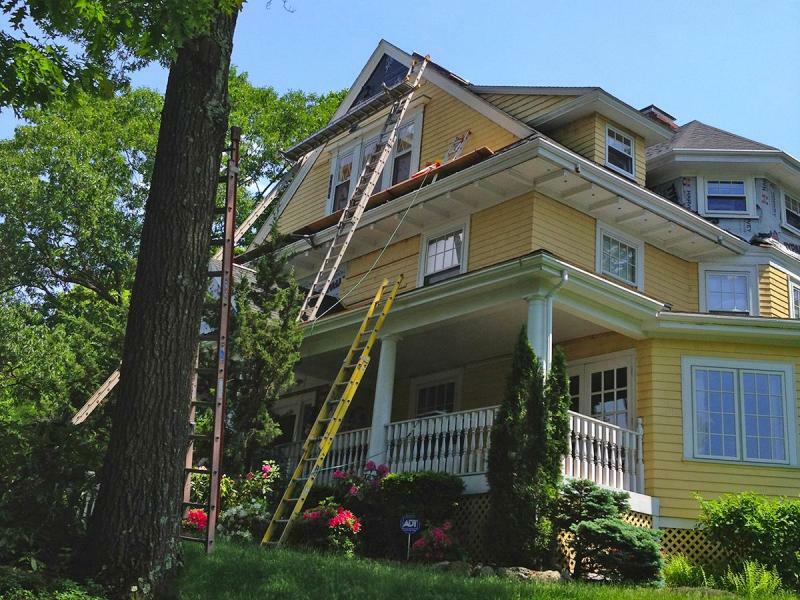 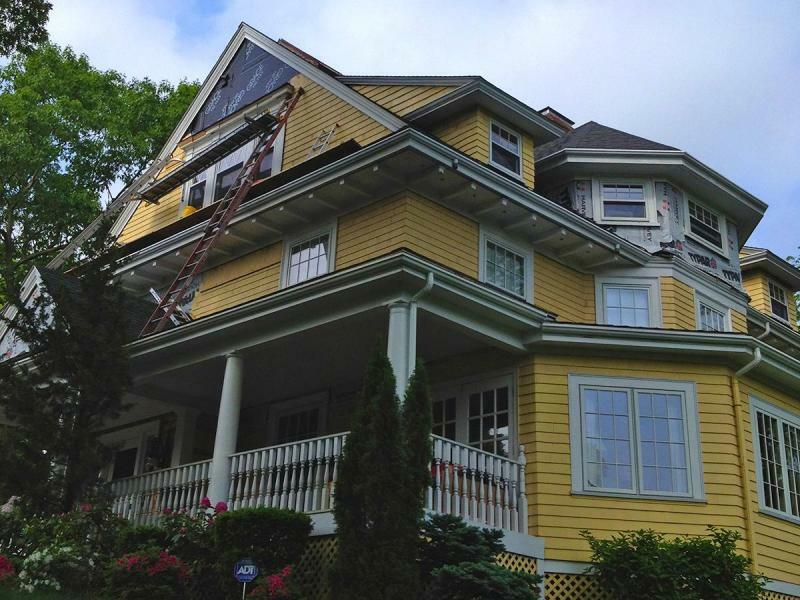 Over the years, Colonial Craftsmen has also replaced the roof and installed all new copper gutters and downspouts on this home. 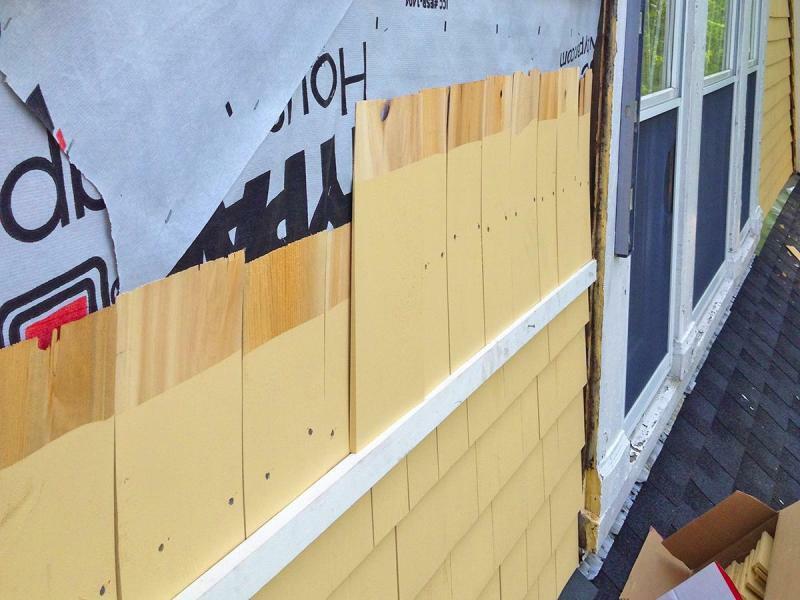 View all Cedar Siding projects.